A Board of Directors composed of Beachcomber officials oversees the activities of FED, which is managed by an Administrator backed by a team of 4 employees in charge of implementing the projects of the Foundation. There are also a number of regional committees run on a volunteer basis since 2003 by Group staff members with an interest in social matters. Having them on board provides a clear understanding of the needs of regions surrounding our hotels. The regional committees work with NGOs, stakeholders, local authorities and other government bodies for the implementation of social projects in their respective regions. Conservation and promotion of the natural and cultural heritage of the country. Beachcomber was among the first companies in Mauritius to set up in 1999 an autonomous entity, FED to implement its CSR policy. FED broke new ground by making a commitment to the long-term funding of NGOs (over a 3-year period) to help improve the quality of services to their beneficiaries and allow them to offer adequate employment conditions to qualified professionals. FED has also organised ongoing training for NGOs supporting children jointly with UNICEF. 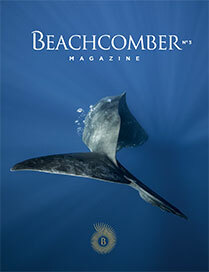 From 2003, FED has increasingly integrated its activities with the hotel operations of Beachcomber. PEJ trainees are thus offered work placement opportunity in our hotels, which are also significant clients for Beautiful LocalHands. South-West have also assisted with the logistics of the Beachcomber UTRB 2016 trail running event through arranging volunteers to guide runners along the course.